Summertime in Japan usually lasts between the months of June to September. However, since Japan has a large land area, the exact duration of summertime would ultimately depend on the location. Due to Japan’s geographical location, the summers are not just hot but they also quite humid. On an average, the temperature during this period ranges from approximately 70 degrees Fahrenheit and could go up to 90 degrees Fahrenheit. The two months in the middle of the summer, which are July and August, are usually the months where the heat has peaked at it’s hottest. This also happens to be the most humid period in Japan for the entire year. Given the information provided above, it is now established that summertime in Japan can be quite hot. While the Japanese locals may have already gotten used to this temperature, it can be uncomfortable for tourists who are not used to so much humidity. Thankfully, both locals and foreigners can enjoy a lot of refreshing drinks that Japan has to offer. Several drinks have been established as summertime staples in Japan, and these provide the much-needed refreshment to anyone who drinks it. This section of the article is meant to tackle recommendations for refreshing summertime beverages that will help you refresh on hot days. Since these beverages have been associated with summertime activities, it is uncommon to find these drinks. These drinks are the perfect companion for trips to the beach, barbeque parties with friends and even something as simple as commuting to work daily. There is no doubt that cool beverages have become embedded in the lives of the Japanese for the hot and humid summer. One of the most popular summertime drinks is the Ramune soda. For anyone who wants to sip on something cool to drink on a hot day, the refreshing and fizzy Ramune soda is quite the fun option. You may ask - how could this drink be a fun option? Well, this popular beverage is very popular in Japan because it comes in a wide variety of flavors that range from the common crowd favorites to quirky and rather unusual flavors. These flavors include the likes of wasabi, kimchi, bubblegum and even something as outrageous as curry. Ramune soda considered to be a cult favorite in Japan. Through the years, it has been consistently one of the most popular brands (if not the most popular) among the different brands of carbonated beverages available in Japan. They are most famous around the world for their more traditional fruity flavors, while the aesthetics of their glass bottle design has also won the masses. The next beverage on this list should not come as a surprise - beer! The Japanese love drinking beer all year round - no matter what the season is. However, during the hot and humid days of summer evenings, having a chilled beer after a rather long day at work is refreshing and brings an exciting finish to the workday. One noticeable difference in Japan compared to other countries (more so its Asian neighbors) is the widespread availability of vending machines that sell beer. In more conservative countries like the Philippines, beer is not as easily accessible as some stores would even require a separate section for liquor just to avoid minors from purchasing such drinks. Meanwhile, in Japan, there is an abundance of vending machines which dispense perfectly cold chilled beer for anyone who wants to drink while they are on the go. In other parts of the world, beers will be found in bars and pubs. In Japan, there is such a thing called “beer gardens” and these places are a popular summertime destination for families, friends, colleagues and so on. Similar to bars and pubs, beer gardens also serve a wide variety of beverages from all over the world, with a focus on beers. These establishments serve perfectly chilled beer from locally made Japanese beers to German brewed beer. The offerings are so vast that one would surely find joy in discovering wonderful beer from all sides of the globe, thanks to the plentiful selection to choose from. Of course, drinking good beer is made even better by having the right gastronomic pairings. For the Japanese, beer is best paired with sizzling and sumptuous barbeque (also known in Japan by it’s more popular Japanese name - yakitori). More often than note, one would find someone drinking beer and eating barbecue on the side. On the less alcoholic and more healthy side, drinking cold brewed green tea. It is already a well-known fact that most of the world’s highest quality and finest green tea comes from Japan, which is why locals love it. Hot or cold, a cup of green tea will surely be a hit with the populace. However, since the hot and humid days of summer call for something more refreshing, a cup of iced green tea is the way to go. This type of green tea is quite a popular beverage among a wide demographics across Japan. This is due to several reasons. It is served iced, and usually without any addition of sugar. The ice gives it the perfect temperature that one would need on a hot day. Lastly, it is healthy since it is a tea-based drink thus it does not contain any caffeine. What's more, this drink is healthy too! The flavor is strong and reminiscent of black tea though it contains no caffeine. A bottle of iced green tea is rather easy to find in Japan - similar to beers. One can easily buy bottled tea from supermarkets or beverage dispensing machines. For those who are feeling thrifty, or just randomly feeling creative it is also easy to make at the comfort of one’s home. The process of steeping the tea is "mizudashi", and the process itself is quite simple, as long as the right ingredients are used. For one, there are specific green teas sold in Japan which indicate that they can be prepared cold. These types do not require brewing of the tea in hot water at all. Last but not the least, a well-loved Japanese drink is the Calpis, which is a form of a lactic acid drink. It has been around for almost a century, and it has consistently retained its popularity all over Japan. The next sections of the article will discuss in detail the relevant things that one must know about this popular summertime drink. For those living in the western hemisphere, the drink called “Calpico” is well-known Japanese beverage of the milky variety. However, in its homeland in Japan, the drink is called “Calpis”. 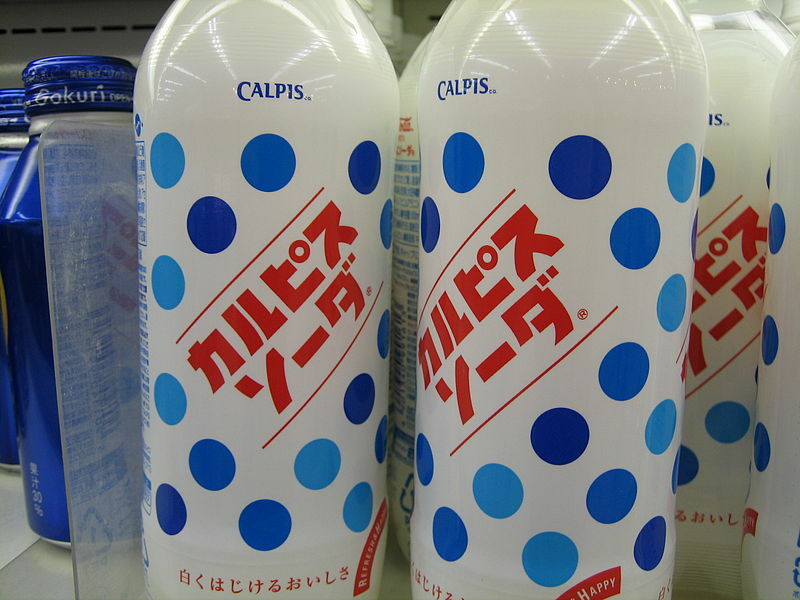 The change in name was done for marketing purposes due to the fact that the original name “Calpis” closely resembled a rather unappetizing word. Nevertheless, whether it is “Calpis” or “Calpico”, these are both the same classic drink that has been well-loved by many generations of Japanese. The Calpis has been around for nearly a century. This milky drink was actually inspired by a local beverage in the neighboring Mongolian region called the “airag”. The “airag” is a popular Mongolian beverage that is basically consisted of fermented horse milk. Inspired by the “airag”, Calpis became the first lactic acid drink ever sold in Japan. The first batch of Calpis was sold in 1919. It became an instant hit due to the scientific process behind its creation. Since the drink is in a condensed format that is later on mixed with water or milk, it assured a longer shelf life even without having to refrigerate. In present-day Japan, Calpis can be found pretty much everywhere, and its popularity through the years has sprouted iterations of the drink. Nowadays, one could find convenience stores and vending machines filled with Calpis Water. Calpis Water is the same as the original, only with the addition of water. This meant that the drink is already pre-diluted, so one can enjoy the same drink without having to mix water or milk manually. This is the easiest to consume on the go. On the other hand, Calpis Water’s fancier sister is the Calpis Soda, which is basically the carbonated version of Calpis Water. Similar to other Japanese carbonated drinks, Calpis’ version comes in a variety of flavors as well, most of the fruity variety. Flavored Calpis Soda’s are rather easy to identify versus the plain ones since it has a distinct design having a white bottle with blue dots printed on it. The official birthday of the Calpis is July 7th of the year 1919. This was the first lactic acid drink ever sold in Japan, which meant it was formulated with the lactic acid bacterium in Japan. There is a simple explanation of why it was considered to be a nutritious drink, and it comes from a simple marketing ploy. At the time, Japanese studies showed that the Japanese diet was lacking in calcium. Hence, food and beverage companies were trying really hard to infuse their products with calcium in the hopes of coming up with a product that was sellable to the market. The Calpis was never envisioned to be exactly what it is, but rather it was an experimental product that was born out of several testing attempts. The father of the Calpis beverage, Kaiun Mishima was working hard on creating a sellable food and/or drink that had the lactic acid bacterium in it. Along with the factory manager whom he worked within the product research and development, Yoshizou Kataoka, they attempted several iterations of food and drinks that had lactic acid bacterium in it. Calpis was not the first drink that Mishima had tested with lactic acid. In fact, he was able to successfully formulate a product containing lactic acid bacterium earlier before. This product was called Daigomi. Unfortunately for Mishima, his pioneering product made with skimmed milk and lactic acid did not sell very well in the market. After long periods of testing, Kataoka accidentally left Daigomi in a test tube along with sugar. Having left the mixture for almost a week, fermentation occurred. To the surprise of Kataoka and Mishima, the resulting drink was better than the original. This formula would go on to become the legendary Calpis. Having been present in the market for almost a century, it would come to no surprise that the Japanese have already formulated several ways to use Calpis. Aside from being a refreshing beverage, they were able to find ways to incorporate it as an ingredient in several dishes. One of the more popular uses of Calpis is to tenderize meat, similar to how yogurt is used. As mentioned earlier, the name Calpis was quite unappealing to the English market. This fact will be explained in a short bit. First, one must understand where this name was derived from. The etymology of the name comes from two words - “cal” and “pis”. Of course, one would have guessed by now that the “cal” signified that the drink was fortified with calcium. The second word “pis” is actually more interesting. This was not derived from any local Japanese words, but rather comes from the Sanskrit language. The word “Salpis” has a religious background as it is a term used in Buddhism. 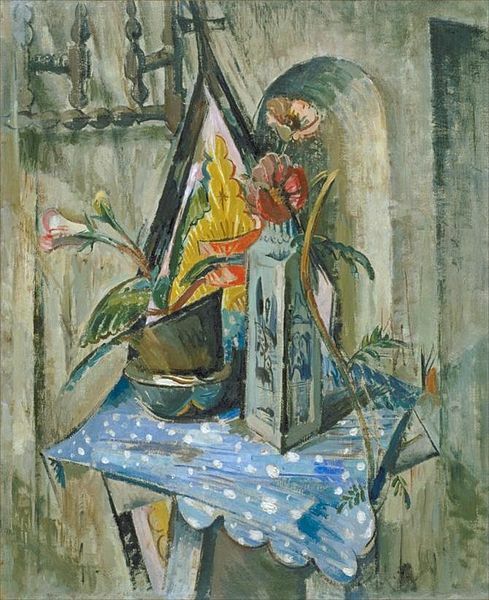 It is not completely unrelated though because, among the five terms used in Buddhism to describe tastes, this was the one that signified ripening or fermenting - a completely accurate depiction for Calpis. But why was the name so unappealing to the English speaking market, one may ask? Well, unfortunately for Calpis, the name actually sounds like cow piss. The marketing division of Calpis in Japan knew that a milk product that sounded like cow piss would turn off potential consumers. The components of Calpis are quite simple as it is composed of primarily skimmed milk, yeast, and lactic acid. These three ingredients are mixed together to form a mixture that is added with sugar and is left to ferment to bring out the taste of the ingredients.